TomKat Jewelers address, phone, website, hours of operation, and more. 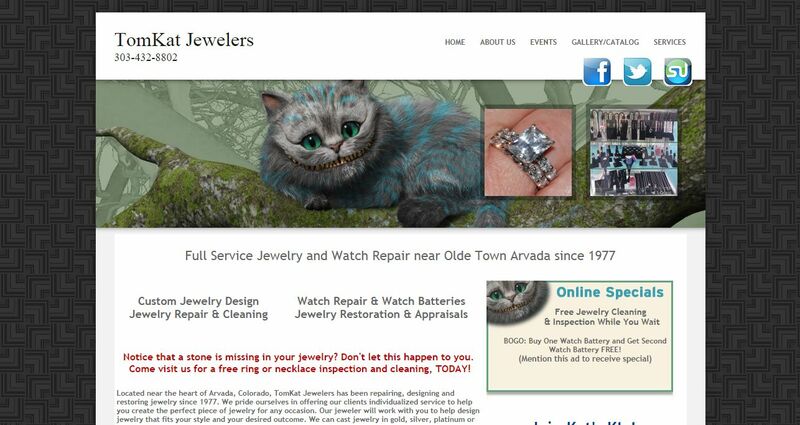 TomKat Jewelers has been repairing, designing and restoring jewelry since 1977. We pride ourselves in offering our clients individualized service to help you create the perfect piece of jewelry for any occasion. Our jeweler will work with you to help design jewelry that fits your style and your desired outcome. We can cast jewelry in gold, silver, platinum or any precious metal to create any kind of ring, necklace, bracelets, earrings, engagement and wedding rings and more!